The National Employment Law Project (NELP), a nonprofit research and employment advocacy group, released a report in March of this year that claims to have uncovered employment discrimination cases involving employment criminal background checks and some of the nation’s largest employers. Specifically, the study surveyed Craigslist postings across the nation and says to have found employers and staffing companies– small and large, private and public—that are blatantly breaking anti-discrimination laws set forth by the Equal Employment Opportunity Commission (EEOC). The report, titled “65 Million Workers Need Not Apply,” draws attention to a practice the NELP believes has swept the nation—Craigslist job postings that bar workers with any sort of criminal record from applying. The report estimates that the practice could affect up to one in four of the working adults who have had a criminal conviction at some point in their lives. Criminal background checks are widely used by employers. The NELP study cites research that found that 90 percent of companies use background checks when hiring, and an estimated 25% of adults in the U.S. have some sort of mark that shows up on criminal background checks. In looking at the U.S. eligible work force, this amounts to approximately 65 million workers who may potentially face discrimination when applying for a job. There is nothing illegal about using criminal background checks when hiring, and the report acknowledges that in the right situations, criminal background checks promote safety and security. However, the EEO law is also very specific about how criminal background checks can be used in making hiring decisions. EEO laws dictate that an employer who uses information from an employment background check, must correlate the crime committed to negative impact on the job at hand. Namely, an employer can’t simply make a blanket exclusion simply because someone has something on his or her criminal record; an employer must consider the nature of the offense, the age at when the offense was committed, and if and how it would affect the job. The NELP report found repeated instances of employers posting job ads that included language such as: “Do not apply with any misdemeanors/felonies,” or “You must not have any felony or misdemeanor convictions on your record. Period.” The authors of the report noted that this wording was used by some of the nation’s largest employers on their Craigslist postings, and the language violates federal anti-discrimination laws, which mandate that employers use a case-by-case approach when examining a criminal record report and evaluating someone for a job. The report authors discussed ramifications on the U.S. economy and social system that occur when employers engage in blanket discrimination. For example, the authors cited studies showing that when people can’t find steady employment, this actually leads to a rise in crime. Particularly in a strained economic climate coupled with a high unemployment rate. Putting people back to work and creating a stable workforce is vital to both public safety and economic growth. NELP makes four recommendations for improving hiring practices. 1. The Federal government: The authors recommended that the Federal government should more aggressively enforce civil rights and consumer protections in both the private and public sectors. When companies post job descriptions that exclude all candidates with criminal records up-front, the government needs to enforce the current laws that prohibit such practices. 2. Lead by example: The report uncovered instances where the Federal government itself engaged in unlawful hiring practices. The authors recommend that the government adopt fair hiring policies that will help serve as a model for employers. 3. State and local governments: The authors recommended that state and local governments monitor and ensure that their hiring practices meet Federal civil rights standards. 4. The employers: The final report recommendation was that the employer community, along with job posting forums such as Craigslist, lead the way for best practices in posting and hiring practices. The NELP report is credible, the problems are real; many organizations have practices in place that are discriminatory and unlawful. These are symptoms of a tight job market, high unemployment, increasingly powerful technology, and strained recruiting resources — rather than the desire to discriminate. Striking a balance between the safety of the many, and the rights of the few is never an easy task. Clearly trying to head this off in the employment advertisement by the use of such broadly discouraging language as documented in the NELP report is an egregious violation of the law. 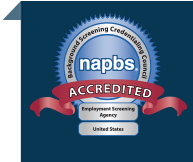 We agree with the recommendations made to the government agencies and advise our employment screening clients to consult the NELP best practices guide. Was the employee who caused the injury unfit? Was the employer’s failure to check the employee’s fitness the proximate cause of the injury suffered? Did the employer know, or should the employer have known, of the unfitness of the employee? Absent a background check, employers are unable to defend themselves. The hue and cry of the public and the media raise to a fevered pitch every time something bad happens and an employer is even remotely implicated. A single blemish on a criminal record, a negative job reference, or a lackluster credit report, in and of themselves, should not necessarily disqualify an individual from employment. Rather, employers should consider the sum of an individual’s background – education and employment verifications, reference checks, criminal records checks, DMV records, credit checks, drug screening, job testing, job interviews, and other background screening tools can be combined to gain a holistic view of an individual. From this, appropriate and defensible inferences can be made about an individual’s employment suitability.